There will be a bit of a race this year as three individuals have thrown their hats in the ring to contest two Board of Education seats in Whitehall. Current board president Frank Barber Jr. confirmed he will seek reelection and he’ll be challenged by newcomers Stiling Knight and Carrianne Arquette. “The last few years I’ve been excited about the changes we have made,” Barber said Tuesday, specifically referencing the current administration which he believes is leading the district in a good direction as well as having a solid working relationship with the board. Arquette could not be reached for comment by press time. The two seats at stake are of varying term lengths. One is a three-year term and the other is a one-year unexpired term left vacant when Jason Hoagland resigned earlier this year. Terms will be awarded to the candidates based upon how many votes they garner. 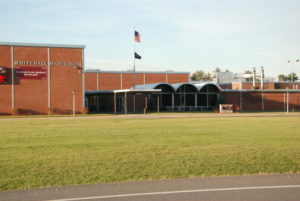 The election will be held on Tuesday, May 15 in the Whitehall High School gymnasium. Polls will open at noon and close at 9 p.m. Put down your pencils. The petitions for seats on the Granville Board of Education are in. Three candidates are vying for three places on the board: Incumbent Molly Biggs Celani, Shirley Kunen and Patricia Aunchman. The three hopefuls successfully collected the 25 required signatures on their petitions and turned them in by the deadline to secure a spot on the May 15 ballot. Celani, currently the board’s vice president, is the only incumbent seeking reelection. Bartholomew and McDermott cited family obligations as reasons why they would not run again. Celani has served six nonconsecutive years on the board. She was elected in 2004 and again in 2015. A Granville native, Celani graduated from Granville High School in 1957. She earned bachelor’s and master’s degrees from the College of Saint Rose in Albany and then spent 35 years teaching in the suburban North Colonie Central School District. Since retired, Celani spends her time volunteering for various organizations such as the Slate Valley Museum, Slate Valley Garden Club and Granville Lions Club. Kunen and Aunchman are both Granville residents eager to earn a seat on the school board. Kunen ran in the 2015-16 race, but fell short to Celani, McDermott, Bartholomew and Nekia Torres. Aunchman has not run before, but she said she is excited about the chance to help plan the future of Granville schools. The seats of board president Audrey Hicks and board members Dale Bucciero and Edward Vladyka will open in 2019. The school board will meet Thursday, April 19 to discuss its 2018-19 budget. The public may comment on the budget at a public hearing May 7 at 7 p.m. in the high school library. Residents will vote for their board choices and the 2018-19 school budget on May 15. Polls will be open in the high school gymnasium from 10 a.m. to 8 p.m. Voters should park behind the school, entering by the Pub @ Bernardo’s and the football field and through the doors on the east side of the gym. Incumbent Ron Smith is the sole Hartford resident who has tossed his hat into the ring for a seat on Hartford Board of Education. Smith’s name will appear on the May 15 ballot as he seeks a second five-year term on the board. “We have a good organization … and a good school board that I like working with,” Smith said Tuesday. He returned a completed petition with the required signatures by the district’s deadline. Though there is only one seat available and one candidate pursuing it, Hartford will still host an election to allow any write-in votes. Incumbents running unopposed for their seats is not uncommon in the district, said school superintendent Andrew Cook. “The past couple of years, the board member who has been seeking re-election has run unopposed,” said Cook. Voting will take place on May 15 from 8:30 a.m. to 8 p.m. in the school library. Residents will also vote on the district’s 2018-19 budget. 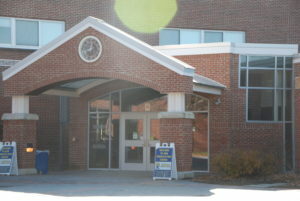 The Hartford Board of Education solidified a $12,394,002 budget to present to residents at its March 19 meeting. A public hearing on the proposed budget is set for May 2. “It’s rewarding to try to help out and see what you can do for the school,” Smith said.